This 8″ Marine Shear features detachable handles for easy cleaning. Blades are Titanium Bonded High-Carbon Steel which is 3x harder than untreated steel and will stay sharper longer. One blade edge can be used as a fish scaler and another blade has an integrated bottle opener. 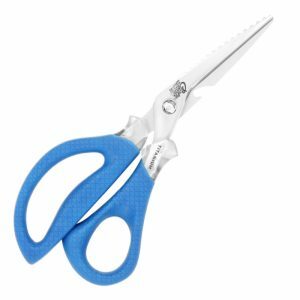 Cutting edges are serrated for increased performance. Full tang construction and non-slip Cuda scale pattern handles. 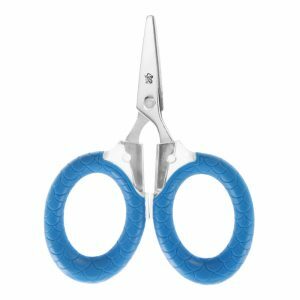 Cuda 3″ Micro Scissors will cut mono and braided line. The Titanium Bonded blades feature dual micro-serrations and are 3x harder than untreated steel and will stay sharper for a longer period of time. Oversized Cuda scale pattern bows for non-slip comfort and control.